What Impact Does the Fed’s Uncertainty Have on Gold? 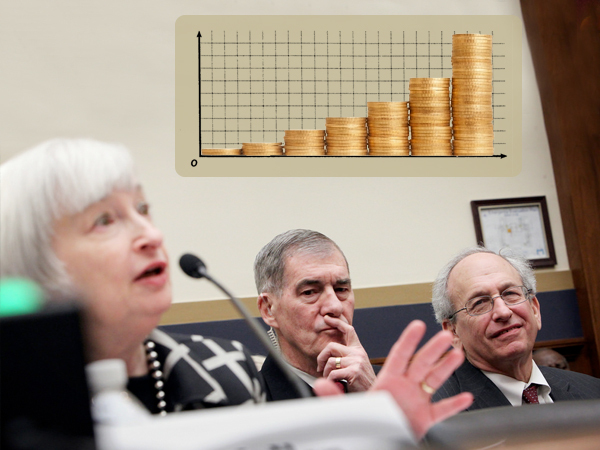 Home » What Impact Does the Fed’s Uncertainty Have on Gold? As the Fed continues to reflect uncertainty on the economy, we question what impact its insecurity will have on gold. Read further here. This week, Your News to Know brings you the most important news regarding finance and the gold market. Stories include: How the Fed’s uncertainty impacts gold. Is it time to warm up to gold yet? Lastly, New Zealand divers find hundreds of gold coins. The Federal Reserve has flirted with an interest rate hike for some time now. While it was previously thought that a hike might happen in September, many – including analyst Frank Holmes – now believe that rates will stay low until at least 2016, thanks to recent input by Fed Chair Janet Yellen. According to Holmes, this is good news for gold and other precious metals. Being a non-yielding asset, gold benefits most in times of lower interest rates. Furthermore, a rate hike would have strengthened the dollar and likely brought the price of gold down with it. Two countries that don’t seem to be paying attention to the Fed’s decision are China and India, both of whom are set for a record year in terms of demand. China’s gold demand this year has been 36 percent higher than in 2014 and 13.5 percent higher than in 2013, the record year. With the pinnacle of Chinese demand for the year approaching – the Lunar New Year – things seem set for a new record. The situation in India is not far off: gold demand in August reached 120 tons compared to the 50 tons during the same month last year. It will be interesting to see where demand will peak, considering several Indian festivals like Diwali are around the corner. Is it time to warm up to gold yet? UBS finds that the prospect of rate hikes by the Fed has been the primary driver behind gold correction in the last few years. But they also believe that the market went too far by punishing the yellow metal ahead of a ‘phantom’ rates hike – one that still isn’t a certainty and that has now been delayed even further. UBS also notes that the so-called ‘easy demand cuts’, driven by investment buyers, have already been made. What’s left now is stable demand, often coming from cultural/religious traditions in Asia, though bullion demand in other areas has been strong as well (the surge in coin and bar sales by Australia’s Perth Mint, for example). 9news reports that a team of New Zealand divers hit the jackpot last weekend, stumbling upon more than 800 gold coins of sunken treasure during a mundane clean-up mission. The 99 Dive Crew Team assembled to help clean up a wharf in Wellington harbor. Aside from hundreds of cans and bottles, the five-member team found something a lot more valuable along the shore. Having only expected to find junk during their mission, the divers were shocked to find the treasure. The coins haven’t been valued yet, but a team member suggested that any money from selling them will go towards footing the bill of the clean-up operation, which the divers are covering themselves.